Friday 30 July is New Zealand’s National Poetry Day, a ‘celebration of this country’s unique and vibrant poetic voice’. 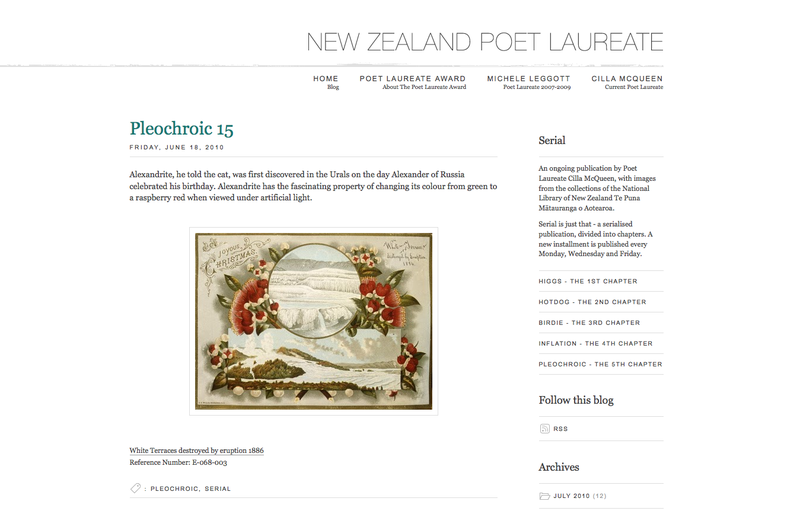 Just in time for the celebration, the National Library of New Zealand has released a new look website for the New Zealand Poet Laureate. The website was set up on the Blogger platform in January 2008 and over the past two and a half years has filled up with rich content provided first by Michele Leggott (Poet Laureate 2007-2009) and now Cilla McQueen (the current Poet Laureate). During Michele’s time as Poet Laureate the site had functioned as a normal blog, with regular updates from Michele as well as the publication of pieces of poetry. Cilla McQueen took a different approach to the blog, writing Serial, a poem published in many pieces, each accompanied by an item from the Library’s pictorial collection (see the chapters so far: Higgs, Hotdog, Birdie, Inflation, Pleochroic). All this activity meant the site was becoming a little difficult for visitors to understand. The National Library wanted to stay on Blogger, but also wanted to bring the site into focus with new content and a new look. 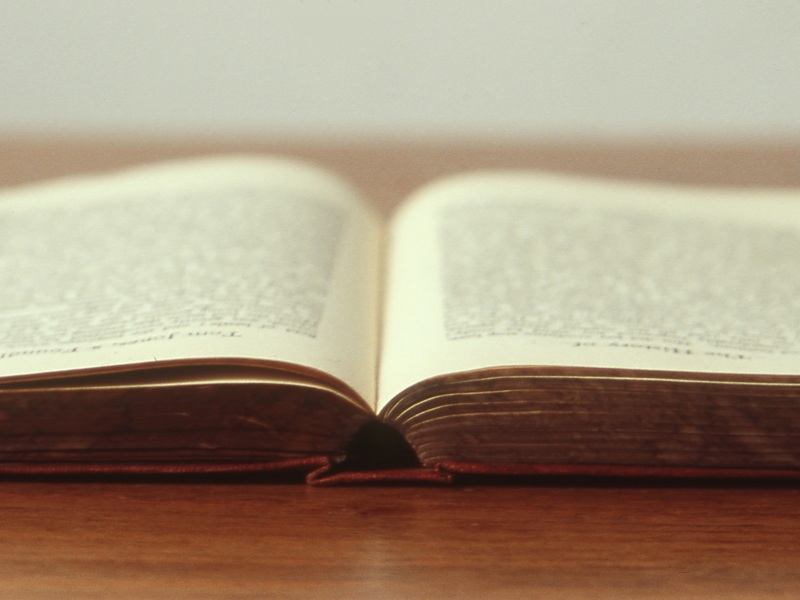 Earlier this year Blogger introduced the ability to add static pages to blogs. 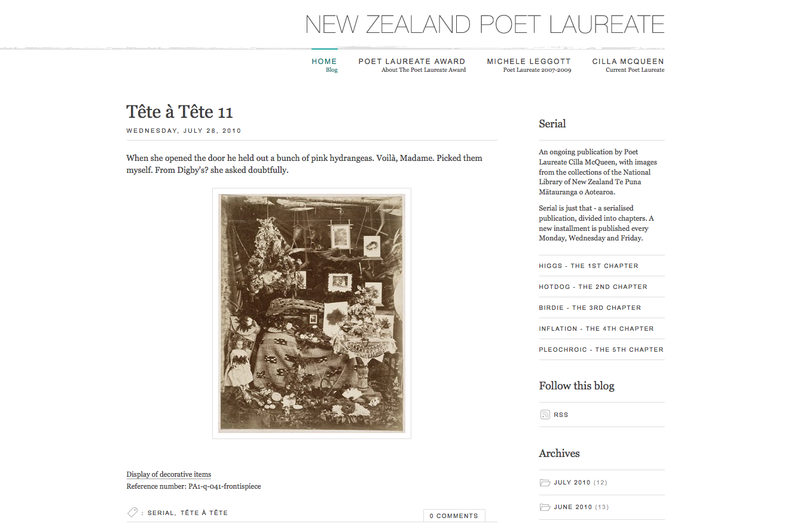 This meant that the Library could now set up individual pages for each of the laureates, as well as an information page about the New Zealand Poet Laureate Award itself. While staff at the Library were working on new content, at Boost we were working on a new design and template. The Library wanted a design that was clean, elegant, and served the dual purpose of showcasing the changing content that makes up Serial, while also providing clear paths to information about each laureate and the Award. The Poet Laureate Award does not have a brand as such, so we were asked to keep the design consistent with the Library’s existing brand guidelines. In discussions with staff at the Library we discovered that intelligent use of typography was important, as well as creating a sense of space and ease for people visiting the site. The resulting design hits all these notes. The navigation is treated as a frame for the main content and presented in a quiet shade of grey, enlivened with flashes of teal green for roll-over effects. A number of small tidy-ups have been put in place, such as subtle frames around images and repositioning comments and tags, to reduce the clutter on the page. Fine horizontal lines have been introduced to help separate individual pieces of content and navigation. So, why not celebrate National Poetry Day by checking out the site? You can also find poetry events all over the country on this calendar on the Booksellers website.